I chose to make this work as I wanted to create a piece that had a connection with Ormskirk. It follows on from the ship installation I’d made in 2011 – 300 Viking shops, following a residency last year at Leasowe Development trust on the Wirral. Leasowe had a strong connection with the Vikings. Although Ormskirk also has a Viking connection and the gallery had expressed an interest in showing that work again, I wanted to create something new for the exhibition. 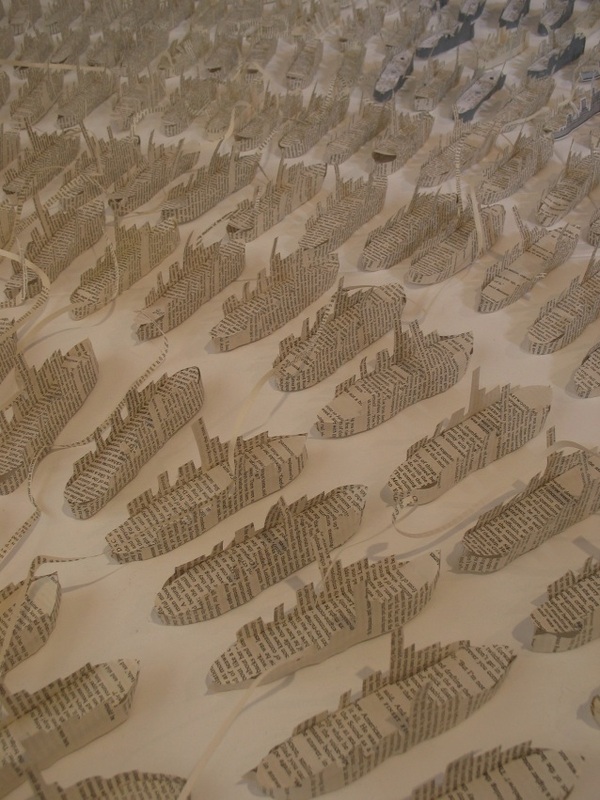 The exhibition theme was ‘ journeys’ and I really wanted to make something to do with ships again, but Ormskirk didn’t have an obvious maritime history. On searching Wikipedia however, I saw that Nicholas Monsarrat, author of ‘The cruel sea’ had lived in Ormskirk at one time. I bought a copy of the book and began to read…. thinking up what I could do in terms of a artwork. 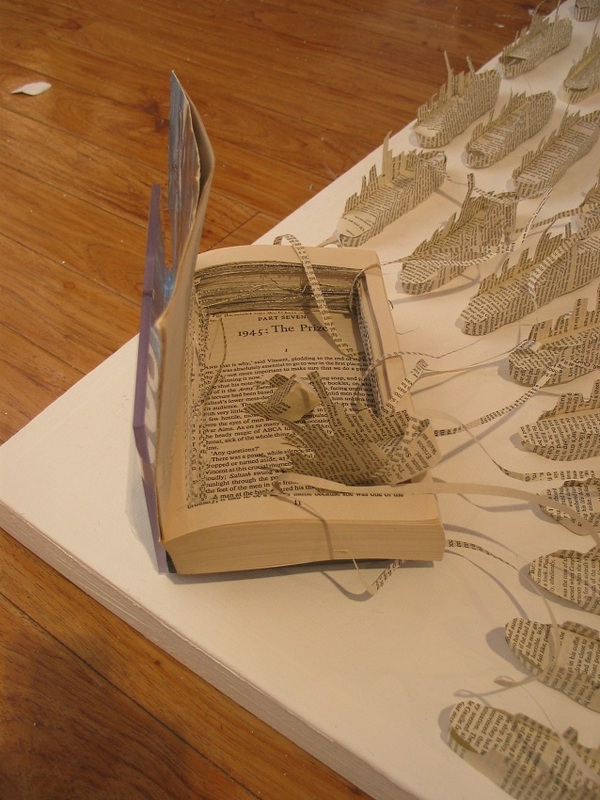 This installation is made from the pages of two copies of the Cruel Sea – two copies to represent the two ships in the book. 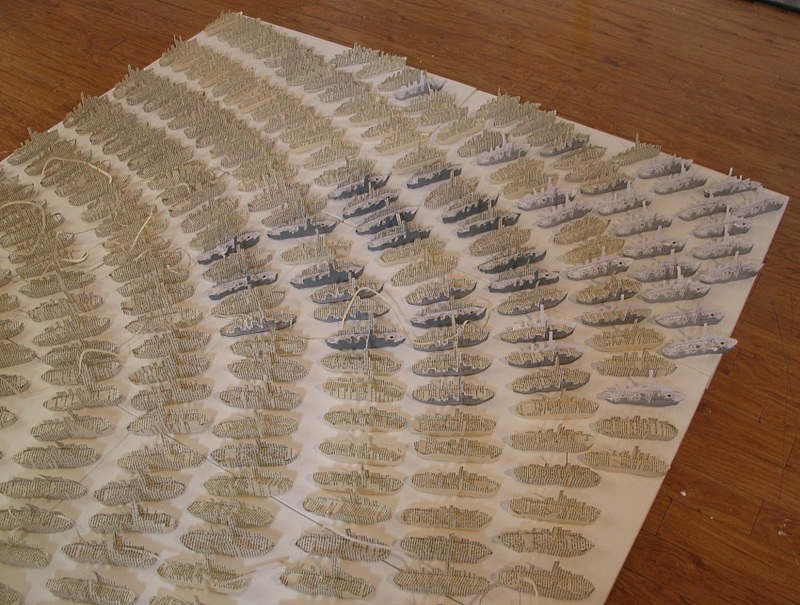 275 Paper ships, cut from the pages of the novel. 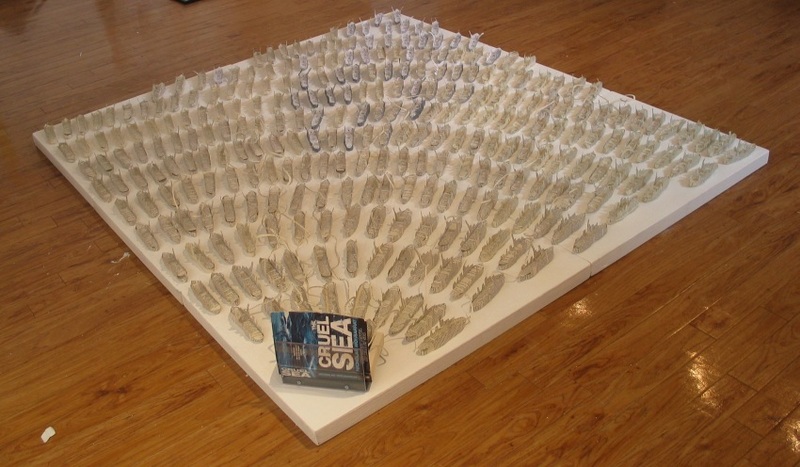 This entry was posted in Paper Art Installation and tagged Artist, Chapel Gallery Ormskirk, Liverpool Artist, Paper Installation, Wendy Williams, Wirral Artist by wendy8williams. Bookmark the permalink.